Yes, Femme! A Community Space for Femmes of Color is an extension of Sal’s ongoing multifaceted series, The FEMME Project, which features photographs and interviews with femmes of color. The body of work confronts the erasure of trans and cis femmes of color while giving them space to articulate their identity in their own words. Yes, Femme! A Community Space for Femmes of Color will be a convening of femmes of color throughout New York City and build on the past work of The FEMME Project to celebrate femininity via interactive activities and a curated meal. Complementing the convening will be the launch of an exhibition of The FEMME Project, which will be open to the greater public. Sal is an artist and organizer based in Bed-Stuy, Brooklyn. 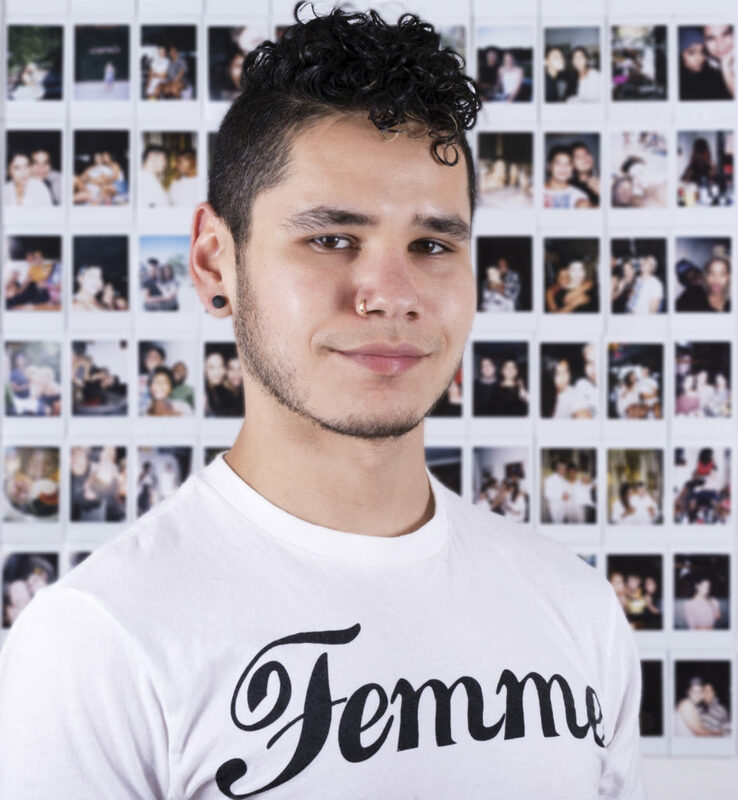 His artwork addresses contemporary social issues such as race, class, gender, and sexuality through various mediums including photography, installation, and artist multiples. Sal received a BA in Studio Art with honors from the University of California, Santa Barbara in 2012. His work has been exhibited in various art spaces throughout New York and California, including the Brooklyn Academy of Music, Auxiliary Projects, and Columbia University. Sal was a 2016 Create Change Fellow at The Laundromat Project and a 2017 Utopian Practice Fellow at Culture Push.